We are oldest Ghodi wale in udaipur. Arranging a Ghodi is always tough task during peek marriage session. We have come online in Udaipur mart to make our self visible to all our esteemed customers. 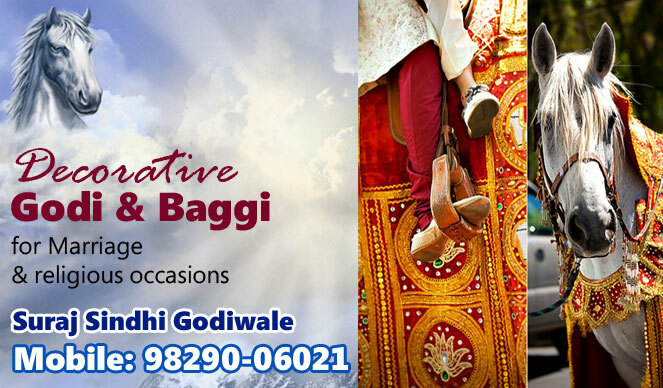 Need Ghodi , need Rath we are there to help you quickly to find best possible solution in very affordable rates. Our Ghodi decoration is very special manner . We understand customer needs. We have customized decoration services as well with a on demand theme. We deal in sale and purchase of ghodies. We have Ghodies available for sales. Ghodi and Rath for marriages and any other purpose. Customizes theme based Decoration for Ghodies and Rath.